Using the module DATRON clamping technology reduces set-up times significantly. Module plates that locate via conical centring sleeves by vacuum are directly locked in position on the table or on a base plate. The advantage is an extremely quick change of clamping modules and a high repetitive accuracy of the clamping position achieving few hundredths of a millimetre. Naturally the modules can also be conventionally screwed in position. 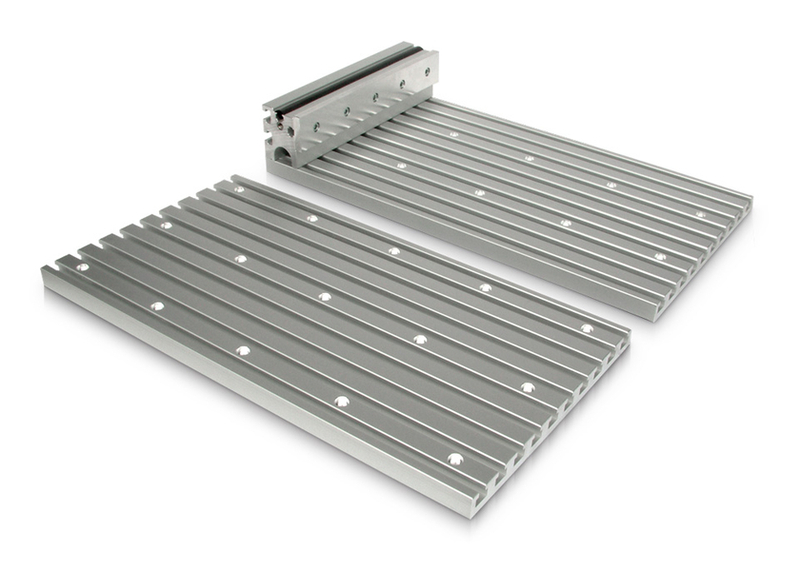 Clamping devices, such as vices or workpieces, can be fastened to module clamping plates. The modules are fastened on the machine table either with a screw connection or with the vacuum suctioning system. The DATRON T-Slot Module clamping plate offers room for application-specific fastening solutions or the combination of a short-stroke clamping element and fixed clamping jaw. The modules are fastened on the machine table either with a screw connection or with the vacuum suctioning system. 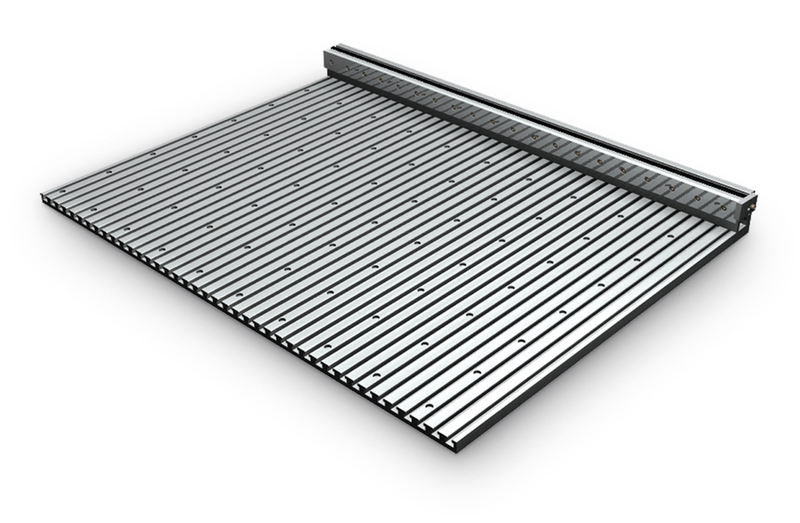 If several T-Slot Module clamping plates are arranged next to each other, the two- and three-row ones must alternate, or a gap of 50 mm will be formed. 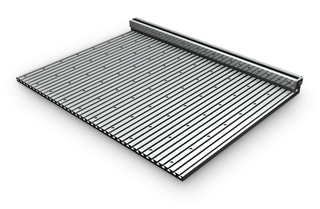 If you would like to completely fit your machine with a table cut-out with 760 mm T-Slot Plates, please select the table upgrade DATRON MS-TNA. 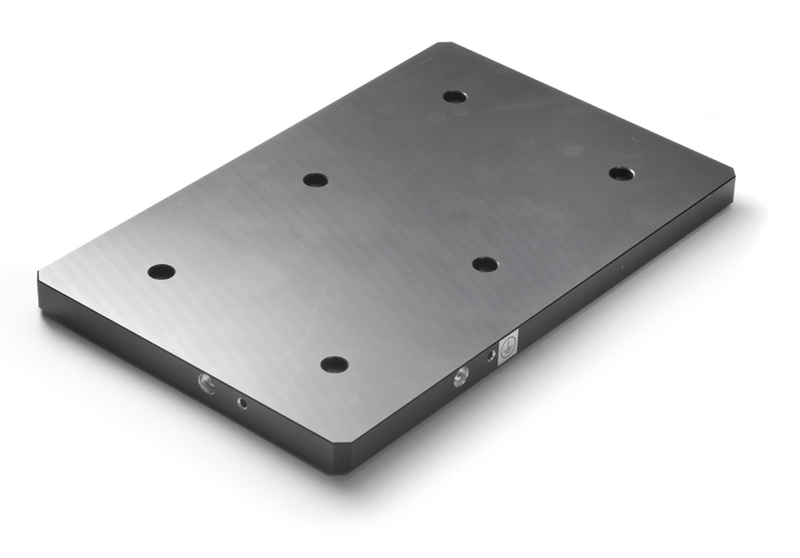 In order to take advantage of the high flexibility of T-slot clamping systems even on the milling machines M8, M8XL, M85 and M10Pro, the machine table can be upgraded with four T-slot module clamping plates. The modules can be alternatively fastened with screws or through a vacuum suction system. 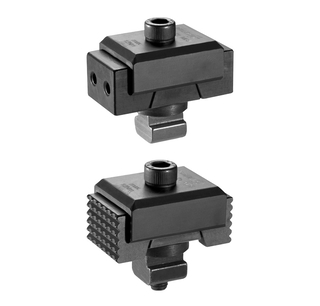 The DATRON KSE wedge clamping elements can be configured for single as well as for multiple clampings. Due to clamping screw and T-nut, they can be flexibly used on the DATRON T-slot plate. Its compact design allows the work area to be optimally used.